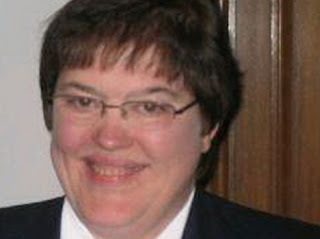 New York: Sister Marie Thornton, a Catholic nun who ran the finances of Iona College embezzled more than $850,000 and spent it on herself, federal prosecutors said Friday. The U.S. attorney in Manhattan said Thornton used funds from the suburban New York City school for her personal expenses from 1999 to 2009. As vice president of finance, she submitted false invoices and had Iona pay her credit card bills, the complaint said. Thornton's religious order, the Sisters of St. Joseph, said Thornton had been recalled and her activities had been restricted. It said she has been ordered to cooperate with investigators and is being given "emotional and spiritual support." Thornton, 62, was arrested Thursday and pleaded not guilty in federal court in Manhattan. She was allowed to remain free. should have spent some of that dough on some plastic surgery.